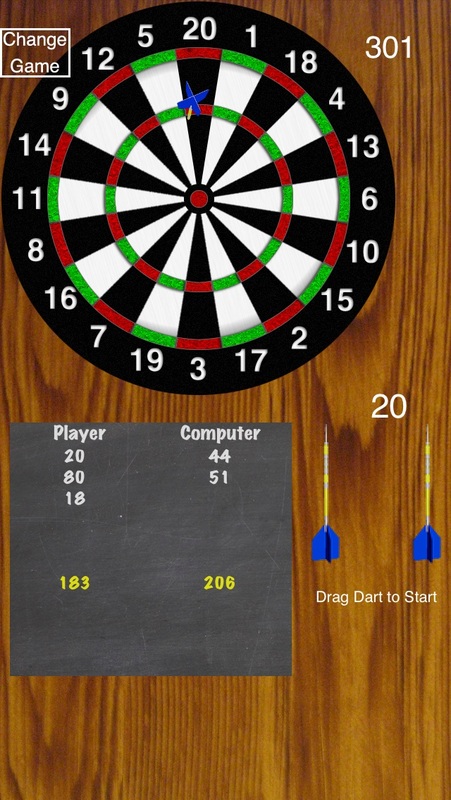 Pro Darts is the best Dart game available for the iPhone/iPod. Pro Darts gives you you great flexibility in the dart games you play and the way they are played. 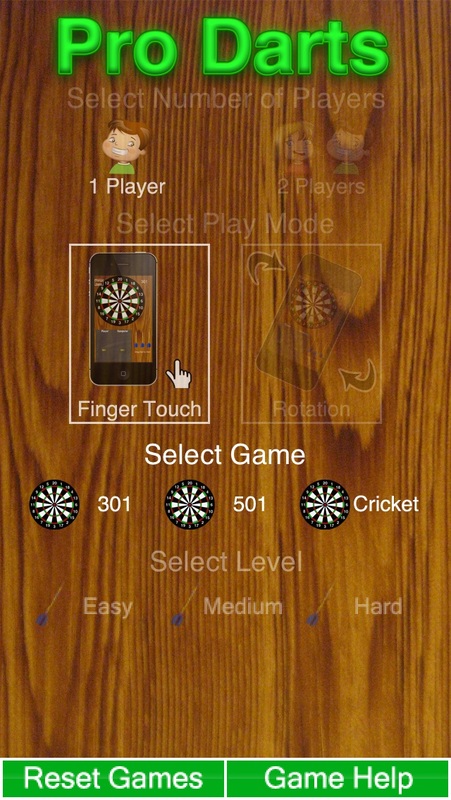 Pro Darts has 3 different games: 301, 501, and Cricket. Pro Darts gives you two different choices on how to control your dart throws. You can either drag your darts onto the board, or tilt you device to throw darts. With 3 different difficulty options, this game can be played by anyone.